If you are having a hard time coming up with new ideas start with looking at other work that you love. Does the work of a famous photographer speak to you? Start researching more of their work, maybe look at some of the not-so-famous images that they shot. Or even look at a whole different genre of work, look at paintings, landscape photography or even a car magazine! 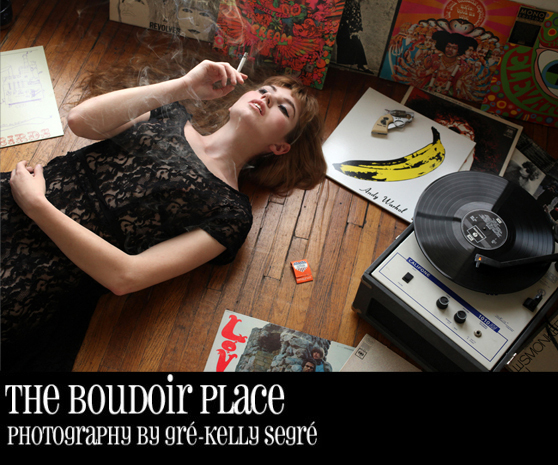 Find something different that you like, something completely out of the realm of boudoir photography. Expand your horizons and suddenly you find yourself interested in something totally new, you won’t even know that it is happening, and that is when new ideas can start to form. Focusing on only one source for your creative outlet can really put a damper on the work you produce. If you cannot think of something new then try something new! Maybe if your significant other has a movie they love that you absolutely cannot stand you can shoot a boudoir/art session based on the characters of that movie? Even make fun of it, don’t take it so seriously that you think this is your “artwork”. This is about releasing the negative energy that is clogging up the creative flow. Look at work that is in magazines and if you think it could have been shot better than you shoot it better yourself. Basically, if you are in a creative slump, keep shooting! In fact, shoot more! Force yourself to shoot something you might not ever show anyone, the worst thing that could happen is that you end up inspiring yourself or you may even end up liking what you shot. Either way, the creative juices will begin to flow again. Previous Post New Year for The Boudoir Place!